The human body is an amazing machine created by God and can fight, filter, defend, and detoxify extremely well under normal circumstances. Now add in all the toxins our bodies get flooded with on a daily basis, indoors and outdoors, and our efficient systems get bogged down. Over time, problems start to arise like digestion issues, fatigue, allergies, depression, brain fog, confusion, headaches, sleep issues, and hormone imbalances to name a few. This article is not intended to make you paranoid, but heighten your situational awareness of toxins in your every day environments. All plastics are plastic, BPA, BPS, AEIOU and Sometimes Y…it doesn’t matter what letters follow, there are no “safer” plastics. We need to treat all of them as plastic. Bisphenol A (BPA) was replaced in a lot of plastics (but definitely not all) with Bisphenol S (BPS), because manufacturers responded to consumer concerns of BPA’s safety after several studies found the chemical mimics estrogen and could harm brain and reproductive development in fetuses, infants and children1. BPS was thought to be a good replacement because it would be more resistant to leaching and not cause harm, but studies proved that to be wrong. 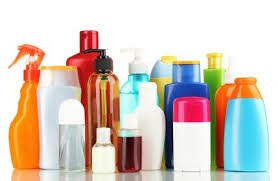 A 2011 study published in Environmental Health Perspectives found that almost all of the 455 commercially available plastics that were tested leached estrogenic chemicals. A 2013 study by Cheryl Watson at The University of Texas Medical Branch at Galveston found that even picomolar concentrations (less than one part per trillion) of BPS can disrupt a cell’s normal functioning, which could potentially lead to metabolic disorders such as diabetes and obesity, asthma, birth defects or even cancer2. So, even though BPS does not leach as much as BPA, it only takes a very minute amount to be harmful. There are a lot of different kinds of Bisphenols out there and it does not matter which one they use, all of them can be harmful. Do I have to stay away from all plastics? No, we just need to take precaution on how we use them. Plastics are more likely to leach under acidic and hot conditions. Do not drink water in a plastic container that has been sitting in a hot car or baked by the sun. Avoid drinking acidic beverages in plastic containers like coffee, soda, and a lot of juices. 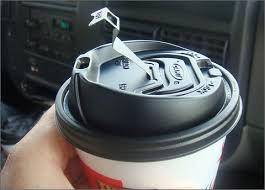 Take the plastic top off your hot beverages before drinking. Shower: Add a chlorine filter to your shower head. Cleaners: If you can’t pronounce the ingredients in your cleaners, try mixing your own using baking soda, vinegar, and lemon juice or using essential oils. You can also use 2.5 highly acidic water from a quality source like Kangen Water. Why: some popular brands of cleaners contain irritants, allergens, and even carcinogens. Shoes: Leave your shoes by the front door. Why: Street shoes can track harmful chemicals into your home. Carpets: When getting new carpet or rugs, look for options that are formaldehyde free. Why: Formaldehyde was recently listed as a human carcinogen; it can also cause nose and eye irritation. Walls: Use low-VOC or VOC-free paints. Why: Chemicals in regular paint combine to form volatile organic compounds (VOC’s), a component of smog linked with respiratory illness. Upholstery: Replace your foam sofas, pillows, and beds with greener options made with wool or other natural fibers. Why: Foam products usually contain flame retardant chemicals such as Chlorinated Tris (TDCPP), listed as a carcinogen in CA3. Air: Use a vacuum with a HEPA filter. 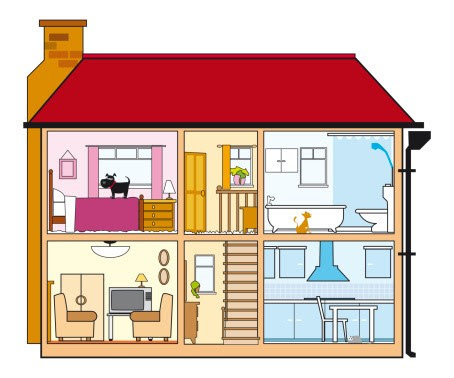 Why: We breathe in various chemicals at home in the form of dust, which can lead to fatigue, asthma, and allergies. HEPA filters capture most of these chemicals. Garage: If you have any rooms above a garage where vehicles, motorcycles, lawn mowers, snow blowers, etc. ; chemicals (paint, varnish, pesticides, fertilizers, etc.) are stored, you must place a venting fan in the garage (that creates negative pressure) and an air filter in the room above. Why: Vehicles outgas for several hours after turning them off and chemicals outgas indefinitely and the toxic gasses will circulate through air vents in the house causing many health problems. By implementing a few of these recommendations, you will greatly reduce your toxic load and let your body function more optimally.